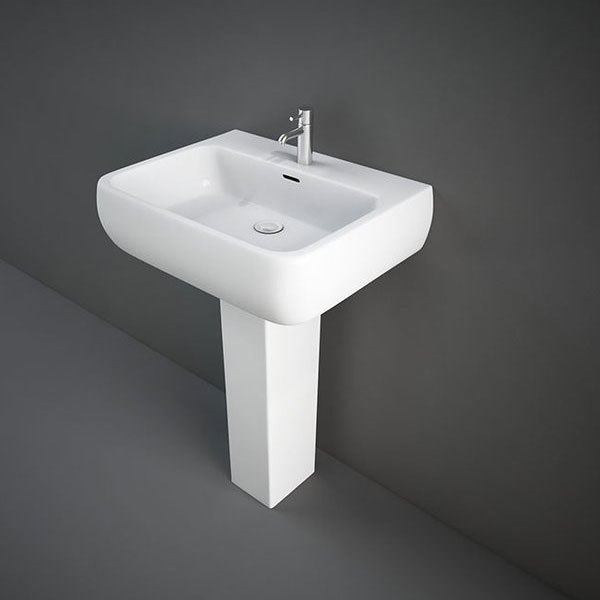 The RAK Metropolitan Basin & Semi Pedestal 420mm Wide 2 Tap Hole manufactured by the popular bathroom product brand, RAK. 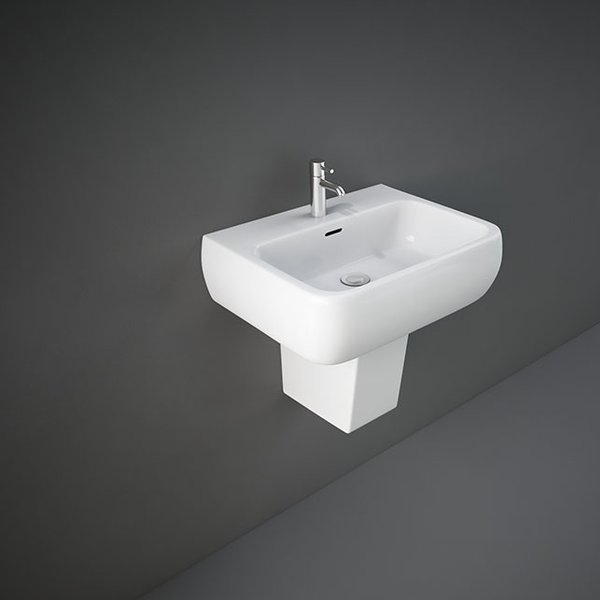 The single tap-hole basin constructed from high-grade Vitreous China material ensures long-term usage. The glossy, white-finished sanitaryware with clean lines and soft curves adds a touch of elegance to your bathroom space.